Hannah Davies is an award winning freelance Illustrator living and working beside the sea side in Wales. 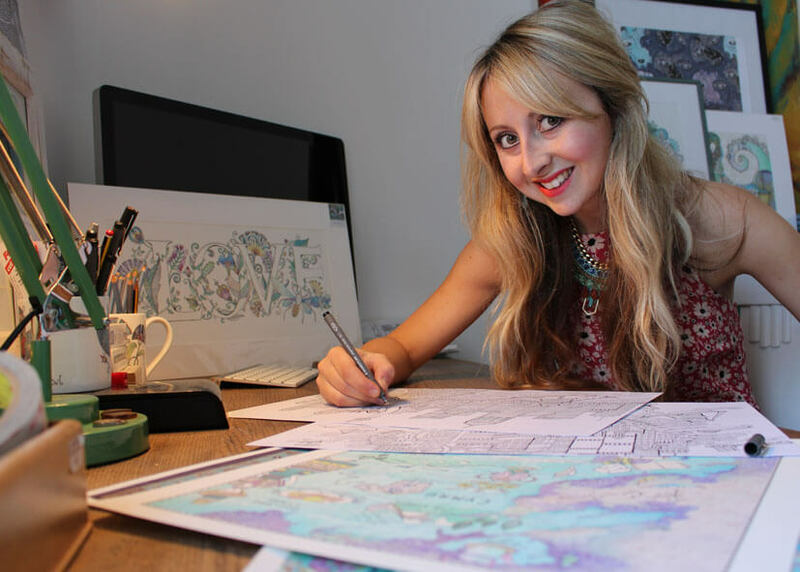 Combining illustration and pattern design, Hannah’s illustrations are compared to a sea of jewels, capturing Water, life and the environment in all its glory. She is fascinated by microscopic patterns and the extraordinary decorative detail that can be portrayed. Hannah enjoys layering and applying many of her own textiles patterns, coloured papers, and vibrant watercolours to create beautiful hand drawn scenes. As much as Hannah is inspired greatly by nature she can turn her hand to any type of illustration and work to strict briefs. She is fast working and extremely enthusiastic. Hannah has worked with many design companies from all ends of the spectrum contributing in design, publishing, advertising and much more. Represented worldwide by Illustration Ltd. Check out my illustration portfolio or contact my agency for work enquiries.